If you are a WhatsApp user, knowing how to lock WhatsApp on iPhone can be handy for you. In general, we all tend to have sensitive and private data on our WhatsApp account. In this article, we intend to share some important information about how to lock WhatsApp in iPhone for the benefit of millions of users across the globe. You can consider using a default option on your iPhone to lock WhatsApp. Step 1. First, on the Home Screen, swipe towards left and open Widgets. Step 2. Scroll towards the bottom of the screen and tap the option labelled “Edit”. Step 3. Then, tap on the red color circle besides the app name (WhatsApp) and tap on “Remove” to confirm your task. Step 4. If you need to lock any other apps, you can repeat the process replacing the name of the app. Step 5. Tap on “Done” once the process is finished. You can also use the restrictions of your iPhone to lock WhatsApp. Step 1. First, go to the “Settings” app. Then, select the option “General”. Step 2. Choose the option “Restrictions”. Step 3. Tap on the option labeled “Enable Restrictions” and provide the passcode when prompted. Step 4. Enter the passcode once again to confirm it. Do you wonder how to lock WhatsApp on iPhone because you are highly concerned about the privacy? If so, you can consider saving WhatsApp data on your personal computer. Such approach will make it possible for you to access the data whenever you need without facing any risk. Also, after saving the data locally, you can even delete them completely from your WhatsApp account so no other party can access them. This is when a software like iMyFone D-Back comes in handy. 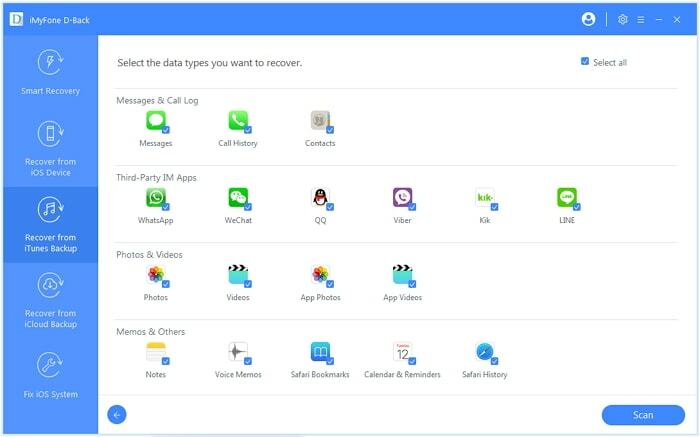 With the assistance of iMyFone D-Back, you can save your WhatsApp data easily to a local computer. 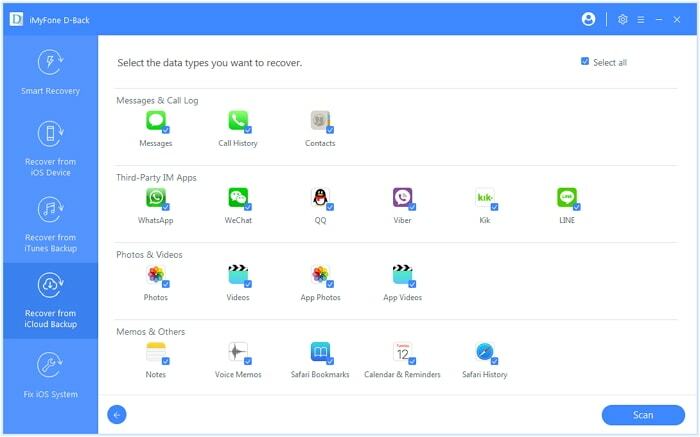 In this section, let’s see how to save WhatsApp data from your iPhone using iMyFone D-Back. Step 1.Open iMyFone D-Back on your computer and start from the option “Recover from iOS Device”. Then, click on the option “Start”. Connect the device to the same computer and the program will then detect the device. Click on “Next”. Step 2.Select the types of files (in this case WhatsApp data). Then, click on the option “Scan”. Step 3.At the completion of the scan, you should see the recoverable data as a list. Check on the files you intend to recover and hit “Recover”. Choose a location to save your WhatsApp data. You can even extract WhatsApp data from your iTunes backup using iMyFone D-Back. Step 1.Open D-Back on the computer and select “Start” located under “Recover from iTunes Backup”. Select the iTunes backup on which your WhatsApp data is stored. Then, press “Next” to proceed. Step 2.Now choose WhatsApp data type and press the button labeled “Scan”. Step 3.Once the scan results are displayed, you can browse the files depending on your requirement. Click on the files you need to recover and hit “Recover” button. To save the files that are recovered, please select a folder on your computer. iMyFone D-Back can even extract WhatsApp data from iCloud. Here’s how to extract WhatsApp data from your iCloud account and save it on your computer using D-Back. 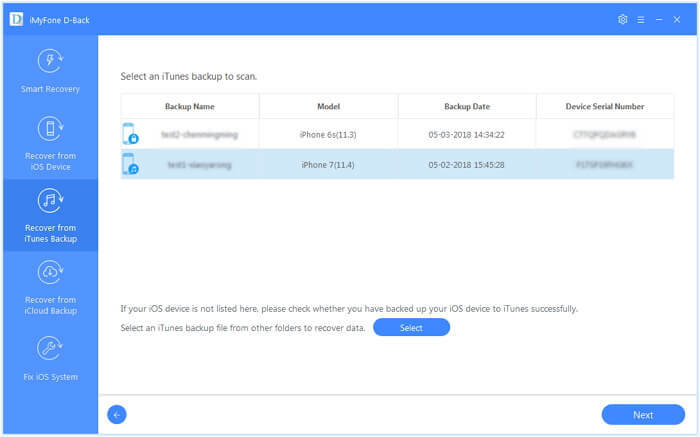 Step 1.Launch D-Back on your computer and click on “Start” button located under “Recover from iCloud Backup”. You should now fill the iCloud credentials. 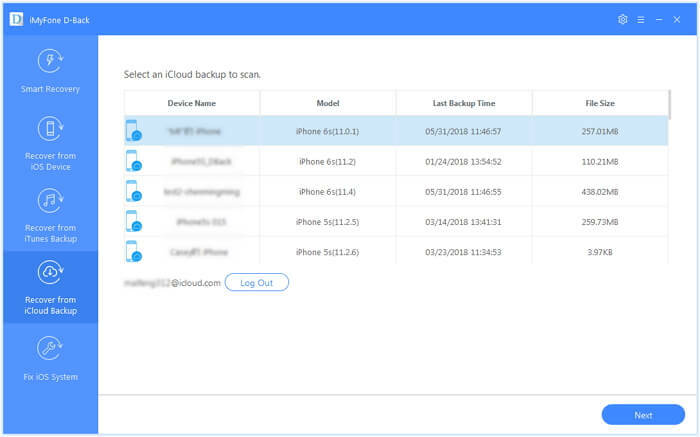 Step 2.D-Back will search for the iCloud backups under the respective account. Select the backup where your WhatsApp data is and click on “Next”. Step 3.Choose the WhatsApp files you need and hit “Scan”. Wait for a couple of minutes for the process to complete. From the scan results, you can preview them and select “Recover” option. Select a location on your local computer to save your files. You may consider using any of the methods mentioned in this article to save your sensitive WhatsApp data as a precautionary method. We appreciate if you can let us know how it goes with the methods mentioned. Please share your thoughts in the form of a comment below.